The Bright Tangerine Left Field 19mm Studio Quick Release Bridge Plate is a snap on, snap off bridge plate for ARRI Dovetail, compatible to ARRI and RED height standards. High contender for the longest name in camera accessory history, the Bright Tangerine Left Field 19mm Studio Quick Release Bridge Plate initially surfaced around NAB last year, hidden under a few more-specific ARRI Alexa Mini accessories. Bright Tangerine has now announced it as a stand-alone product, ready to pre-order. There’s a fair amount of Bridge Plates out there; the ARRI dovetail has been one of the industry-standard camera plates in the professional market for years. Yet most conform to the old school way of slide on/slide off mounting. Whilst the slide function is fantastic for fine (and broad) tuning the balance of the camera rig, it can be a bit of a fiddle to completely removing or mounting the camera. Snap plates have the standard for other plates for ages (Euro, Arca Swiss, Sachtler, Manfrotto), it’s interesting to see the lack of snap on/off function in the ARRI Dovetail-compatible market. This is exactly where the Bright Tangerine Left Field comes in, it’s a bridge plate that has full slide function for adjustment, but can be removed by turning the lever further and lifting the camera straight off. 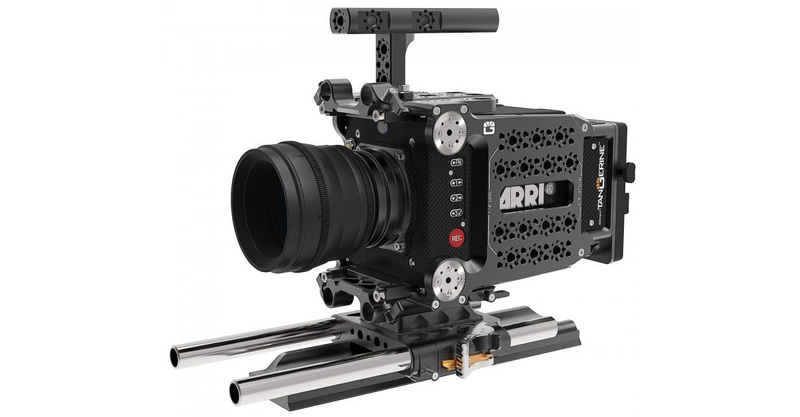 It does this at half the price of the similar ARRI snap plate – The CBP-1 Compact Bridge Plate. There is an insert in the Bright Tangerine Left Field Bridge Plate itself that is reversible. In flush mode it is compatible with ARRI height standards (distance of 19mm rods in relation to the sensor). In raised mode it is compatible with RED height standards. Whilst not entirely unique (other manufacturers have started doing this) it’s a welcome feature, making it a more universal bridge plate. On one side is the large two-point lever for adjusting and removing the bridge plate. On the other side, a rosette, X2 standard ¼ 20” threads as well as an anti-twist ARRI-style ¼ 20” for mounting accessories. The long name suggests there maybe a 15mm studio version of the Bright Tangerine Left Field Bridge Plate in the future, but I can’t imagine too many people chomping at the bit for this less popular standard. Pre-orders are available now, with predicted shipment end of the month. The post Snap On, Snap Off – Bright Tangerine Left Field Quick Release Bridge Plate appeared first on cinema5D.